mickie had the most liked content! mickie replied to RodMcK1's topic in STOP THAT! NOW GO BACK AND SIT DOWN! Yes, ME-TV only shows the 30 minute versions. Are the CB episodes that are streaming - the same episodes that are out on DVD? Hopefully they have more available for streaming. mickie replied to Brock's topic in There Just Wasn't Enough ROOM For All of You! No, unfortunately, these will be half hour versions of the one hour show. I guess it might be too expensive to show the complete Carol Burnett Shows as they did have a lot of musical numbers included. It would be nice to see these broadcast. I have at least 3 DVD sets of the first few season of Burnett Shows with about 25-30 shows on the discs. They are fun to watch and i also believe they are available for streaming or downloading but not sure if all seasons are available. Yes, I saw that listed and i am glad that they are going back to the Burnett shows from the beginning. Since Lucy was on several times, i am sure there will be more Lucy episodes shown. What episodes are you watching on "The Lucy Show"? mickie replied to MONALISAISMONALUCY's topic in STOP THAT! NOW GO BACK AND SIT DOWN! It seems the Lucy Show has quietly joined the prime time line up for JLTV (Jewish Life Television) on Wednesday nights at 8pm and 11pm. Although its not listed as one of their shows on the web site, they aired "Lucy & Viv Put a Shower" last week and "Lucy's Barbershop Quartet" last night. Next week, the George Burns episode is scheduled to air, so these are the public domain episodes and not sure how long it will last. The Beverly Hillbillies (also public domain episodes) airs after the Lucy Show. I just found this out last week when i went to watch Joan Rivers's 60's morning talk show "That Show", which JLTV has been airing for a while now. The episode with Vivian aired about two months ago. Joan has now moved to Thursday nights. Yes, she has talked about it before. I remember her first talking about this on "Dinah" back in 1975. Yes, I hope it stays in the show. Yes, I wouldn't take out a camera or phone at a Broadway show. Its just not done. The meeting between Lucy and Cher is set up at the beginning of the second act when Cher was having doubts about breaking up the marriage and the act and thinking America would hate her for this, so there is a brief talk with Lucy giving her advice and telling her to go on a get a new show, one with her name in the title - that always worked for me. Then they sing "Heart of Stone" worked into the show. It was probably only about 5 minutes long but fun. No, i don't think it came off cheesy. The audience loved it and there was applause when Cher introduced Lucille Ball. I had heard it was in Chicago and that it might be taken out. Glad its still in the show. I haven't seen any photos and i didn't take one as its a Broadway show but i had 7th row center seats, so i could have got a great shot. After it opens, i am sure we will see some photos. Last night I saw The Cher Show on Broadway and yes, Lucy is in the show. The scene is set in the 70’s when Cher asked Lucy for advice when she was going through her divorce with Sonny. Since Lucy had experience on the break up of a very famous married couple, she was the perfect person to ask. In the show Cher and Lucy sing one of Cher’s songs “Heart of Stone” for the musical. This of course, never happened in real life but the conversation about Sonny definitely did. Cher and Lucy had worked together on a TV special in 1979 but they had both known each other for a while as Cher’s Mom had worked on episodes of I Love Lucy and The Lucy Show. It was a nice to treat to see Lucy in this how even if it was only for about 5 minutes. 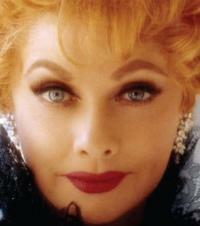 I believe Emily Skinner played Lucy, although in the Playbill this no confirmation on who played Lucille Ball. Thanks, I just saw your post on Instagram about this. Still would have preferred a better episode but this is nice. mickie replied to Luvsbway's topic in STOP THAT! NOW GO BACK AND SIT DOWN! This episode aired on Wednesday night on JLTV - first time I have ever seen it on TV. I loved watching this marathon too. Wish they would have shown Lucy's substitute secretary. Loved that episode and yes the episode with Dean Martin was another favorite. I have never been able to get this network before, maybe now I can - we shall see. Yes, I just noticed this recently. Hopefully HL will return and in a better time slot. I would hate to see it gone completely. They usually do something to celebrate Lucy's Birthday in August. Lets see what happens now.